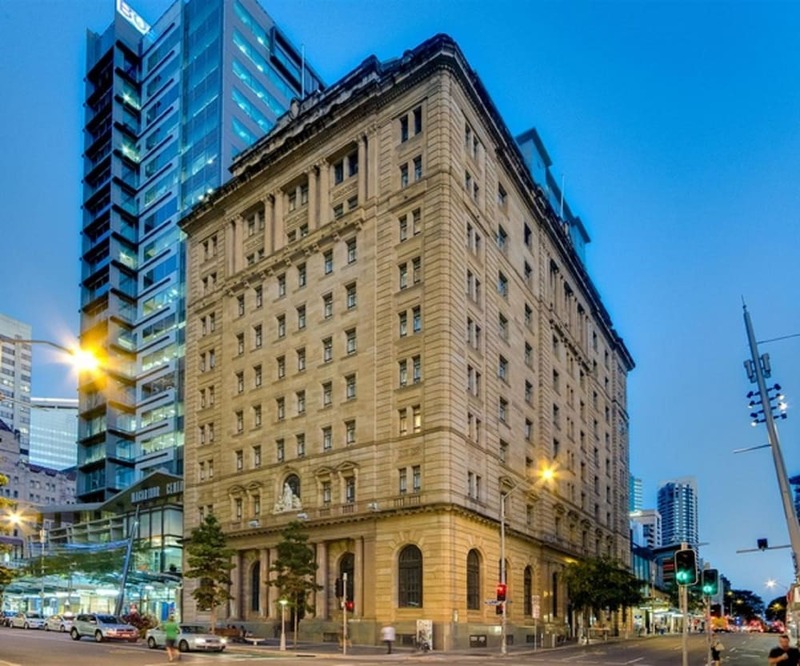 With a stay at Macarthur Chambers, you'll be centrally located in Brisbane, within a 5-minute walk of Queen Street Mall and King George Square. This 4-star apartment is 0.5 mi (0.8 km) from Brisbane Botanic Gardens and 0.7 mi (1.1 km) from South Bank Parklands. Make yourself at home in one of the 74 individually decorated guestrooms, featuring kitchens with full-sized refrigerators/freezers and stovetops. Complimentary wireless Internet access keeps you connected, and cable programming is available for your entertainment. Conveniences include phones, as well as microwaves and coffee/tea makers. Be sure to enjoy recreational amenities, including an outdoor pool, a spa tub, and a sauna. Additional amenities at this apartment include complimentary wireless Internet access and barbecue grills. In addition to an outdoor pool, Macarthur Chambers provides a spa tub, a sauna, and a fitness center. Public areas are equipped with complimentary wireless Internet access. This Brisbane apartment also offers spa services, barbecue grills, and dry cleaning/laundry services. Parking is available onsite for a surcharge. Macarthur Chambers is a smoke-free property.